Teachers are absolute rockstars and the world doesn’t hear enough about it. We know how hard our teachers are working to get their kids coding and developing 21st Century skills and want everyone else to know, too. We’re excited to announce we will be introducing you to a new, code busting teacher each week. It is our goal to spotlight teachers bringing coding to their schools, and to let their stories inspire others. Meet Brian Adams, our first ever Teacher of the Week! Brian is a Pennsylvania native, with 20 years of teaching under his belt. 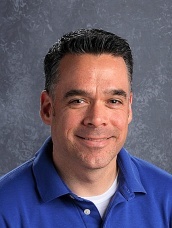 Mr. Adams is the Instructional Technology teacher and coach for k-3 students at Ridge Park Elementary School in Conshohoken, Pennsylvania. We were lucky enough to catch up with Mr. Adams before he embarks on year 21, and learn about how he has successfully implemented coding in his school. Congratulations on being chosen as teacher of the week! Can you start off by telling us about your teaching background and how you got started with teaching code? My first nine years of teaching were spent teaching second grade. I switched to k-3 Technology, and a few years ago we started a really big transition with iPads. I had heard about different coding apps, but was looking for more than just “drill and practice” and I really wanted my students engaged with the content. I found Kodable and played through the whole thing; I fell in love with it. We started with 24 students sharing 14 iPads, but once the web version was released I could get all of my students on at once. We currently have our 1st and 2nd graders using it, and 3rd graders trying to come back and log in to do more! I love seeing the students engaged and enjoying what they’re doing. It’s really great to be able to see their excitement and willingness to take it as far as they can. There haven’t been too many challenges. I’m fortunate that my Administration has always been on board and supportive from the beginning; they’re a group of progressive thinkers. Early on, we struggled with limited devices but the Web has allowed us to get all of our students on at once. I had a mom come into the classroom and see the poster that showed skills kids were building with coding. She was a math major in college, and to see her simply in awe really felt good. I had my own perspective on it, but then to have a workforce perspective come in was awesome. With students, I had a 2nd grade student log in at home and complete everything in a few weeks. I couldn’t believe that he had successfully worked through it that fast, I kept double checking him in class and he could explain every concept. I brought him to the parent council meeting for the district. He sat with parents and iPads and explained Kodable and problem solving to all of them. He was able to explain the value of it to parents, and that was really special. Sometimes, it’s just saying the day is over and putting school aside. The to do list can wait. I make sure I make time to exercise. For fun, the Phillies! It sounds cliche, but a love and enjoyment for learning. Things can pile up; tests and papers. It’s important for them to find the part of it that they enjoy somewhere in there. 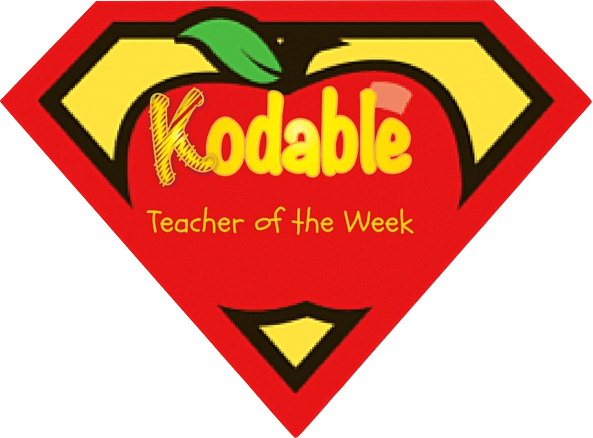 Thank you, Mr. Adams, for your 20+ years of serving students, and for being our first Kodable Teacher of the Week! Register your teacher account today and get your students coding!